Many people are choosing an adjustable base bed for the comfort and range of sleeping positions it can provide. Gone are the days of only seeing adjustable beds in hospitals and nursing homes. Adjustable bases are mainstream, look great with any decor, and can come with just about every upgrade you can imagine. These are not your grandfather’s adjustable beds. If you are thinking about an adjustable base for your bed, understand that not every mattress is compatible with an adjustable base. 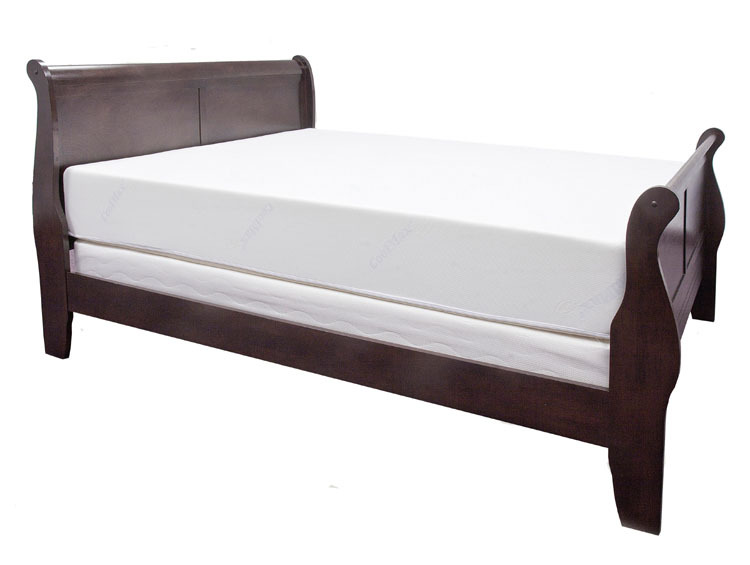 It is also important to understand, that with some types of adjustable base beds (a split-king, for example), you may need more than one mattress. (A split king would require two twin long mattresses.) Before buying any new mattress for your adjustable base bed or buying both an adjustable base and a mattress, check with the manufacturer to make sure the mattress is compatible with an adjustable base and that the warranty will not be voided if you use the mattress with an adjustable base. In terms of memory foam mattresses, some are compatible with an adjustable base and some are not. Do not assume one brand of memory foam mattress is compatible with an adjustable base just because another memory foam brand is. Always check with the manufacturer to be sure. The Healthy Foundations 10″ Memory Foam Mattress is made of high quality, durable memory foam and base foams. It is compatible with an adjustable base. Check out our buyer’s guides for info on adjustable base beds and memory foam for more information.